Industry Partnerships involve strong 2-way partnerships with several businesses in industries where strong job growth is projected; these partnerships will enhance the application of business concepts for our students across both undergraduate and graduate programs. 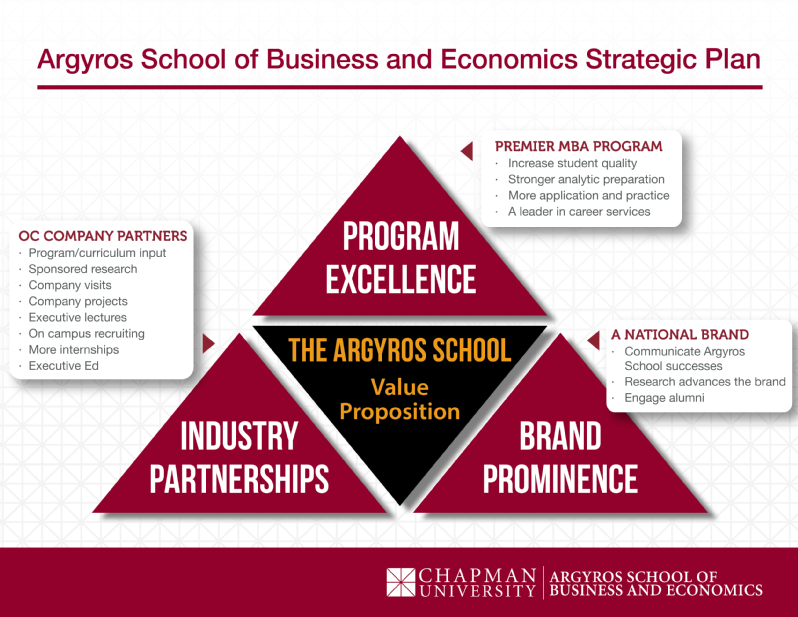 Brand Prominence means building a strong Argyros Business School brand that is well known nationwide. Program excellence will begin by creating a full-time MBA program which is ranked among the best in the nation. Learn about the continued achievements of The Argyros School from the latest in faculty research to the expanding reaches of our professional network. 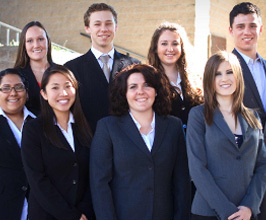 The mission of the George L. Argyros School of Business and Economics (ASBE) is to develop business leaders who create value for their organizations by blending sound economic reasoning and a global perspective with the qualities of individual initiative, analytical skill, accountability, effective communication, and integrity. The Argyros School distinguishes itself by providing students and alumni with unmatched access to exceptional teachers and scholars, a network of top executives, and opportunities for practice-based business education in one of the nation's most dynamic business communities. 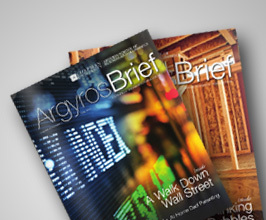 The Argyros School is widely recognized as an outstanding institution. As we always look to continuously improve, we must leverage our existing strengths to position the Argyros School to compete and succeed at an even higher level in business education. We must: 1. retain and recruit top faculty, 2. attract great students, 3. expand and improve student education and services to transform students into high quality business professionals, 4. place our students in high quality internships and full time careers, and 5. build a prominent reputation in the academic and business communities. In the fall of 2012, we completed a deep strategic analysis of our progress in these five areas to assess where we should focus our resources to improve on our success to date. We began implementation of the new strategy in January 2013. 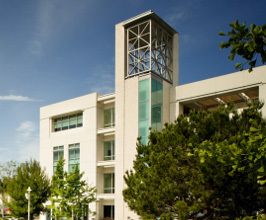 At the time, our vision for the George L. Argyros School of Business and Economics was to be counted among the 50 best business programs in the country. Within a short three years, we reached "top 50" status for both the part-time MBA program and undergraduate business program on Bloomberg Businessweek's list. In addition, our undergraduate U.S. News and World Report ranking rose 36 spots, which our full-time MBA program rose 16 spots on the same list. The strategy includes three key areas of focus, developed based on what we learned in assessing our progress. 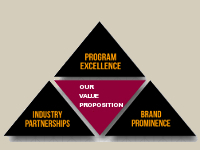 The three areas are – Program Excellence, Industry Partnerships, and Brand Prominence. A new scholarship program – we will support an increase in incoming student quality through new merit-based scholarships. Higher average GMAT scores, years of work experience, and placement rates will directly impact the classroom experience, and starting salaries. Broader marketing will lead to growth in applications. Through marketing enhancements (attending more recruiting conferences, international recruiting, more advertising, etc.) we will increase the number of applications for our MBA program. 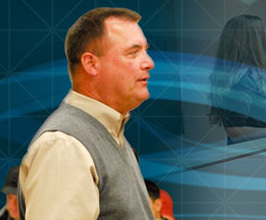 New course offerings were added. Two new quantitative modeling courses were added, based on input from the business community. These courses exercise the analytical tools and techniques which are common in the business world today. We also added co-curricular offerings so that interns and graduates could hit the ground running in their job roles. In addition, we continuously improved our curriculum management (a.k.a. Assurance of Learning) processes to provide for ongoing continuous improvement in what and how we teach. Industry Partnerships involve creating strong two-way partnerships with several businesses in industries where strong job growth is projected; these partnerships continue to enhance the application of business concepts for our students across both undergraduate and graduate programs. Brand Prominence means building a strong Argyros Business School brand that is well known nationwide, and internationally.